The board came to a consensus in a non-action discussion Monday night to conduct a forum for parents of current eighth grade students at Hope Academy of Public Service on Dec. 18 at 6 p.m. in the HHS auditorium to explore the prospects. HAPS students currently remain on the HAPS campus through the ninth-grade year before transitioning to HHS or to the Hope Career and Professions Academy in the tenth-grade year. HAPS Principal Dr. Carol Ann Duke offered the board an overview of the developments which have fostered the proposal. --A recognized loss in instructional time for ninth graders because of busing time and its attendant problems between HAPS and HHS or University of Arkansas – Hope classes. 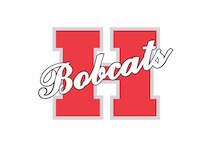 --A recognized lack of extracurricular activity participation at HHS by ninth graders beyond those activities which are incorporated into a class such as band, athletics, and cheer. --A recognized loss of scheduling flexibility from the “middle school” scheduling of HAPS that stems from differences in “master scheduling” between the two campuses which results in ninth graders not participating fully in HHS opportunities. --A recognized lack of space at HAPS for the expanded student body. --A recognized difference in expectations attached to ACT Aspire testing changes that will affect ninth graders. --A recognized disparity in social and academic maturation that affects ninth grade students. HHS Principal Bill Hoglund said that he intends to create a “true ninth grade academy” at HHS which will essentially consolidate the entire rising eighth grade from HAPS and Yerger Middle School into a separate ninth grade academic cohort to be housed in the HHS Annex. Hoglund said there are factors that remain to be worked out, but that he intends to take what has worked at HAPS and extend it to the HHS ninth grade academy. He said HHS already has experienced faculty and administrators to implement the concept.